The Turkmen Network Gathering provides a venue for North American supporters of God’s work among the Turkmen to meet and build relationship together, encourage one another, share ideas and projects, pray, and declare God’s glory among the Turkmen. The 2019 conference will be held in San Diego, CA July 26-28th. The main sessions will take place on Friday the 26th and Saturday the 27th. You are invited to remain and join in a special Sunday morning celebration focused on God’s heart for the Turkmen. This year there will be a special Children’s Program during the conference. Bring your children and get them involved. Join with others from around the world in recognizing our individual ministries and callings, our collective gathering, and the work of the Church at large as God makes His presence, His plans, and His Kingdom known. We’re looking forward with anticipation to the 2019 gathering as we press in to work together in significant Kingdom advancement everywhere there are Turkmen. We look forward to spending time with you, worshiping, praying, hearing from God and from like-minded brothers and sisters, making new connections, celebrating victories, and moving forward together in what the Lord would have us do to facilitate and support the sharing of the Good News with the Turkmen and the building Christ’s Church to bring God glory! Involvement – In the adventure and understanding of the big picture of ministry among the Turkmen. Intercession – Spending significant time in prayer. 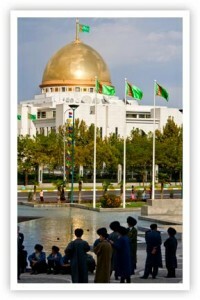 Information – Sharing what God is doing in Turkmenistan and every nation where the Turkmen reside. Interaction – Building relationships, exploring emerging issues, and working together on projects.